Spring Learn to Play is here!! Please Click the Flyer Below for More Info. Registration Link for Learn to Play is here, please click to register! Coming Soon!! 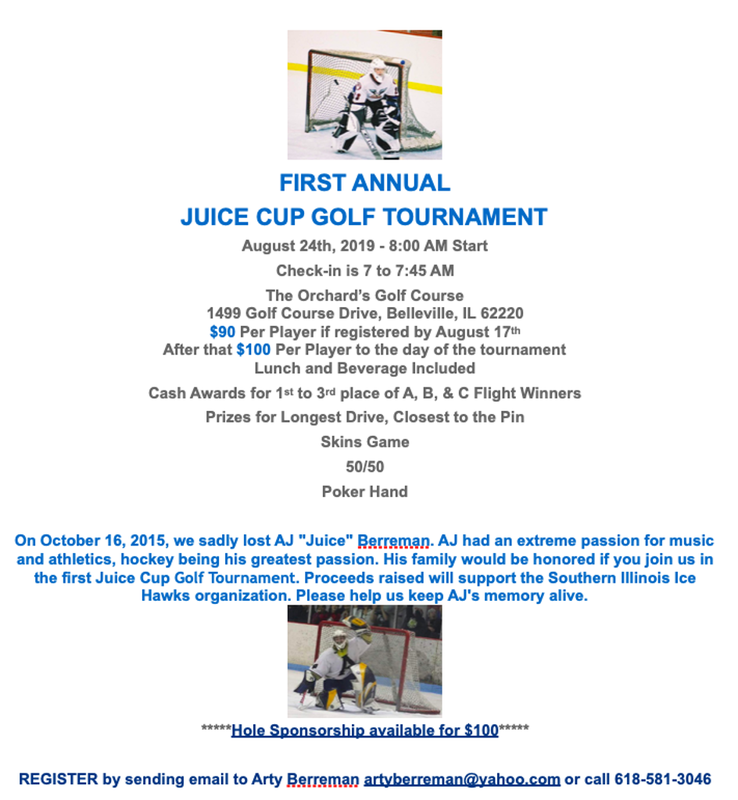 Juice Cup Golf Tournament!! Registration is closed. Thanks so much, and we'll see you on the ice!! During our monthly board meeting last night, we discussed updating some of the wording within our by-laws. The attached document covers the terms that needed adjustments. OT Sports is a North Carolina manufacturing company that specializes in the design and production of custom sublimated uniforms. A local Embroidery and Gifts store! The IceHawks would like to thank Play it Again Sports as an official IceHawk gold level sponsor for the upcoming 2018-2019 Season. Reminder to return your practice jerseys this evening if you have not already done so! Don’t forget the 10u-16u banquet is this Friday!